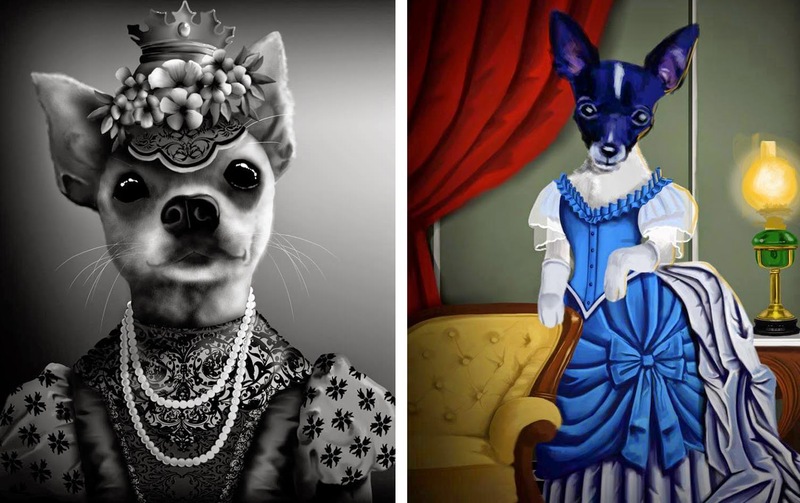 Personalized Pet Portraits Imbued with Playful Personality. Striking Black & White Art of your Best Friend at Heart. Ask any pet owner about their dog or cat, and you're likely to hear a description that sounds a lot a child or a friend, complete with playful personality traits. Most of us recognize that our animals don't think or act in the exact same ways we do as humans, but that doesn't stop us from picking out behaviors that make them more and more like us. They are part of the family, so why shouldn't they be celebrated like any other member? And by that I mean immortalized in a portrait that personifies what we love most. 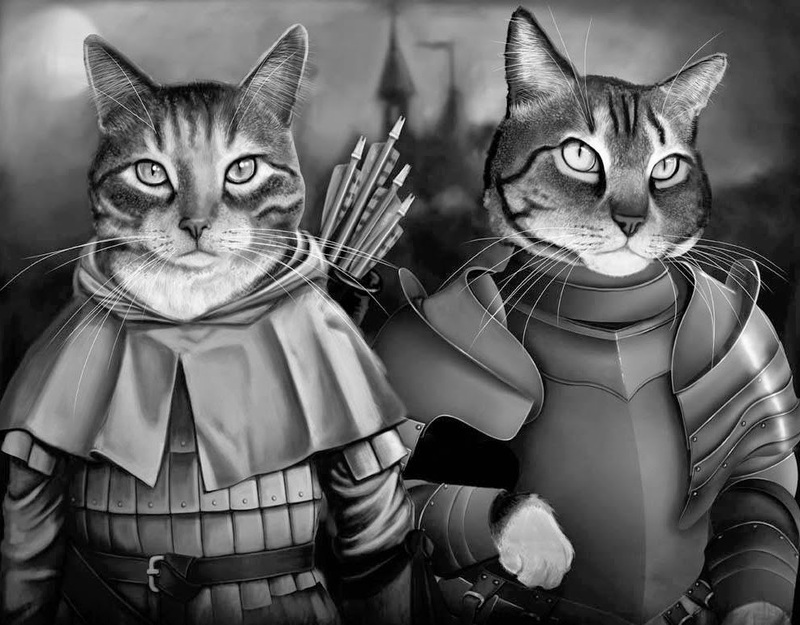 Thanks to Illustrator and Graphic Designer Bryce Dishongh, the mastermind behind Coat & Tails, you can have a vintage style print of your pet to showcase their place in your clan, usually in striking black & white with turn of the century details. Bryce has been drawing for years, getting his start in more traditional media like graphite and charcoal. However, as technology advanced, he picked up Digital Illustration, a method with many unique advantages, not the least of which is the ability to offer people custom work in less time and at a lower cost. But there is no sacrifice in quality. 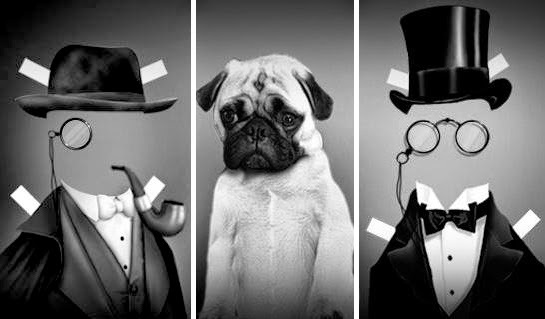 Each one of Bryce's pieces demonstrate great attention to detail and care to achieve the closest likeness to your family pet. 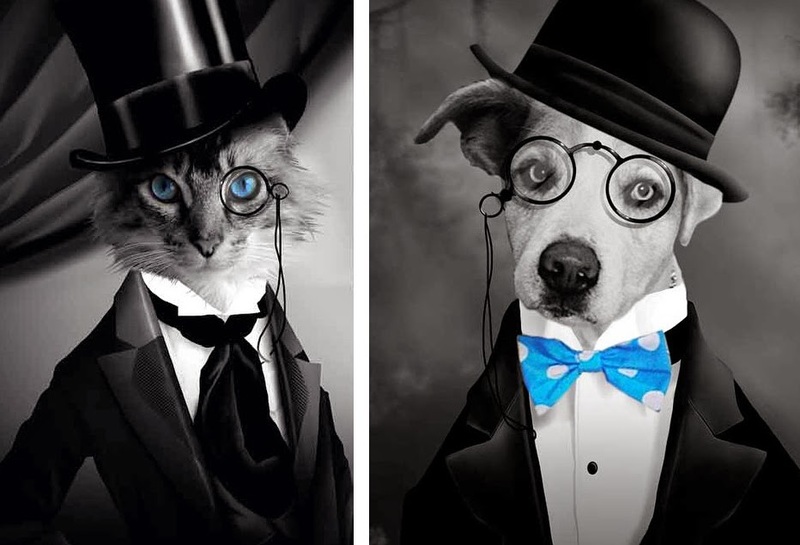 Choose the outfit and background to give your pet the desired characteristic, and Bryce will bring the portrait life! How can you not smile looking at the work below? 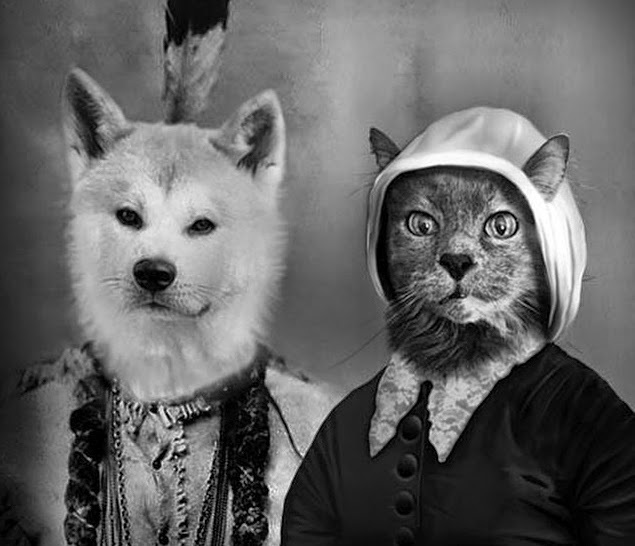 It's easy to imagine our own pets personified because they are human in many ways!